The datasheet isn't the best I have read but it does provide most of the information required. The pressure sensor has a measurement range of 0-5 8 psi (40kpa). The unit psi is an imperial measurement which stands for pounds per square inch. The scale was designed for use in measuring the weight of goods (solids) however the scale can be applied to any pressure - gas or liquid. The unit psi can be converted to an SI unit Pascals and the datasheet for the pressure sensor refers to 40 kpa as being the measurement range converted from psi to Pascals. So we have a sensor that is capable of measuring a range of pressures, can be driven by 5 Vdc and puts out a 0-25 mV signal. That's enough theory for now...lets get on with using the sensor...The datasheet shows the device using a bridge connection that outputs a 0-25 mV signal. That is a very small signal, if we were to connect the output directly to a micro-controller we wouldn't measure much unless the pressure was full scale and that output would be very low. 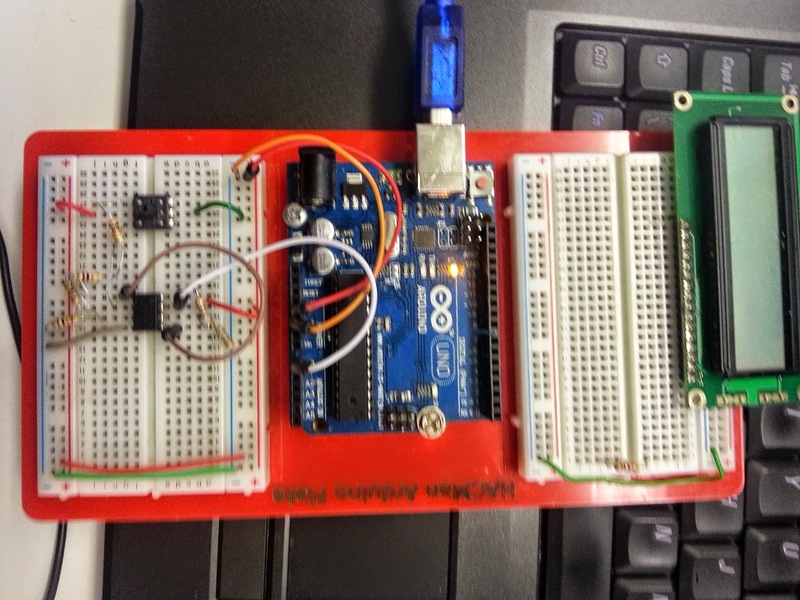 What needs to be done is to amplify the output of the pressure sensor in order to record the sensor signal properly. That way we get more sensitivity and resolution - in short a better measurement device. There are plenty of ways of amplifying electronic signals but in the case of instrumentation it is often necessary to amplify signals quite a lot of times in order to get a usable signal. To that end we are going to design a difference amplifier. This is an application of operational amplifiers set to provide gain but also only measure the difference between the signals applied to the inputs. 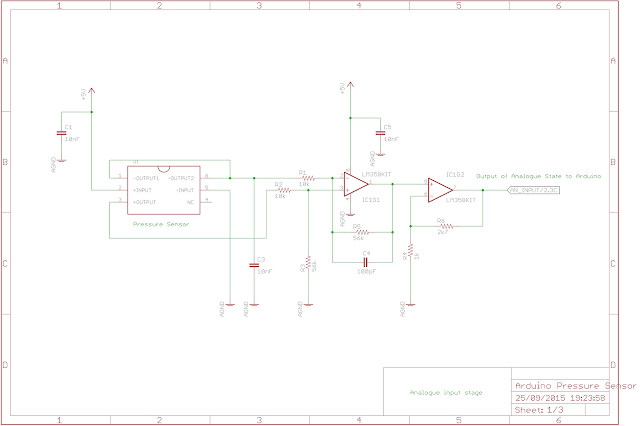 The datasheet for the Pressure sensor shows how to connect the sensor although not particularly clearly as a Wheatstone bridge. If more information about Wheatstone bridges is required check out the link below. It was conceived by a British Scientist and engineer - Samuel Hunter Christie in 1833 and improved by Sir Charles Wheatstone who made it popular. So which pins connect to what? Output (4) does not connect to anything! Next we need to calculate the gain required. We need to change 0 V - 25 mV into something larger and we also need to account for the voltage offset present (around 2 Vdc). So first of all lets design a differential amplifier. Rather than reinvent the wheel and go through all of the theory again I used an online calculator to generate values for me. It's a lot quicker and easier than pages of mathematical calculations. I have made several assumptions about the circuit....that the output from the sensor will be somewhere between 0.0 Vdc and 0.0025 Vdc. I set the supply voltage to the op-amp as +5 Vdc and 0 Vdc (single supply mode). The amplifier then gives out between 57 mV and 970 mV. Those values are quite small so we will need to amplify that further in order to give a reasonable output into the micro-controller ADC input. 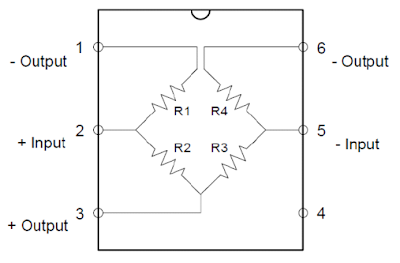 We are looking for something between 0 Vdc and 5 Vdc. Here is the first part of the circuit. 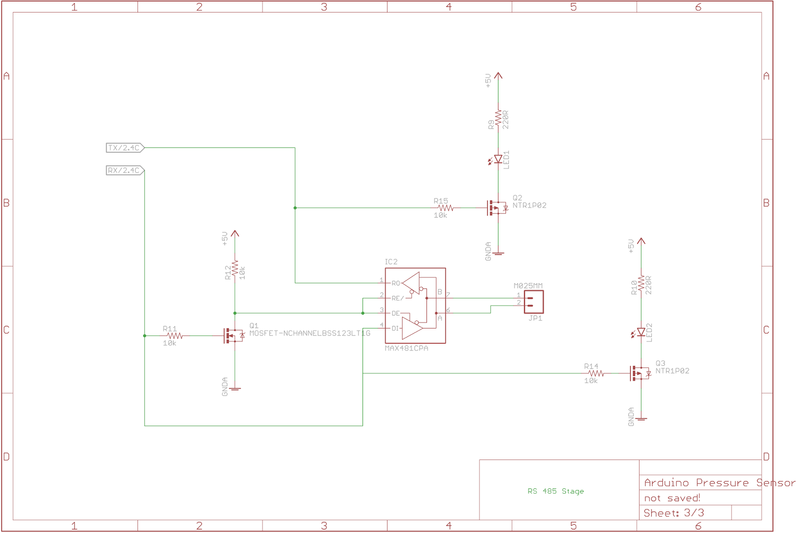 I've drawn the sensor as resistors in the 'Wheatstone bridge' configuration. To check the sensor was working I measured the resistance between each sensor pin with an ohm meter and found there to be 5 k-Ohms present in each part of the sensor circuit. The blue square is a rough guess at how the sensor works...It may not be entirely accurate but I don't have any more information to work from. The amount the Wheatstone bridge varies is again a guess at 1 k-Ohms - I'm hoping it works this well!! 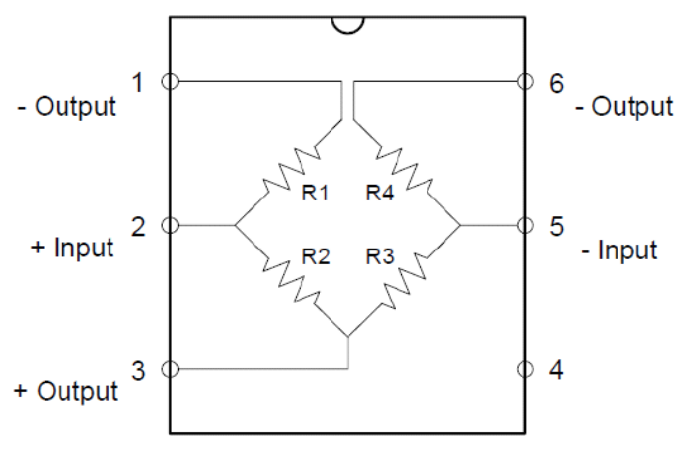 The green square is a simple filter to prevent external electrical noise (interference) from affecting the measurement. We only want to measure signals from pressure sensor and nothing else. The red square is the section designed with the calculator. It's a standard difference amplifier with a feedback capacitor and some supply de-coupling capacitors again to prevent external interference affecting the circuit. The gain of the amplifier is 5.6. The output of the amplifier is still a little low to drive the ADC so lets add a non inverting amplifier to the output section so that we then get a times 3 gain and therefore a 200 mV to 3.5 Vdc swing. I simulated the circuit just to make sure it worked. It appears to and here is the video of the circuit for those that are interested. 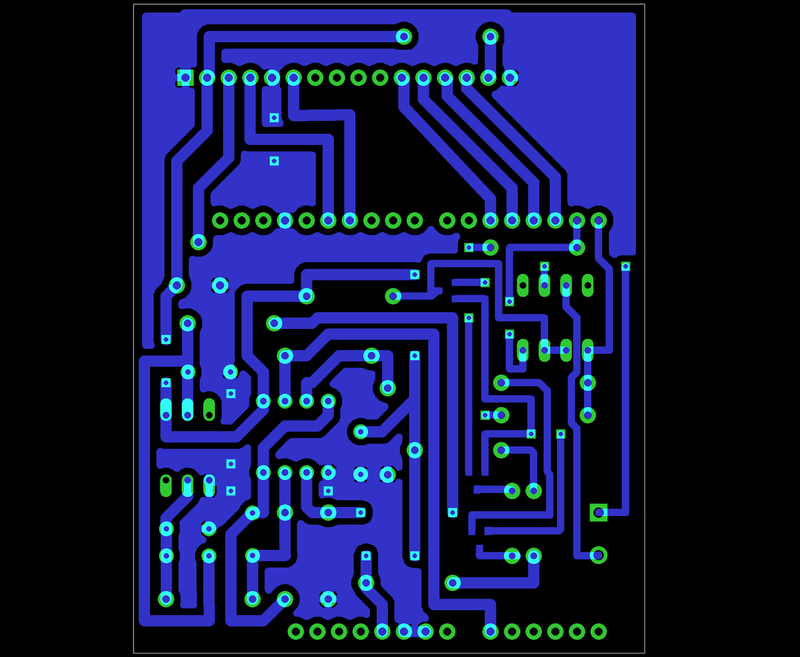 Here is the top player - note that the Instrumentation amplifier is an SOIC surface mount package which is mounted on the underside of the board. 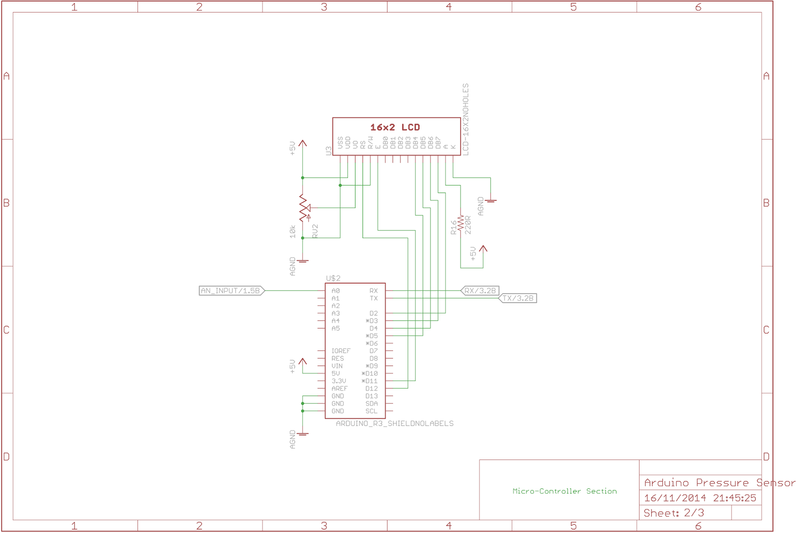 The rest of the circuit shows the connections to the arduino and I also added a 16x2 LCD display and the communications section. Once I had uploaded this to the arduino and opened a serial monitor I expected there to be a steady stream of values being output to the serial monitor - there was! Excellent. I then attached a small piece of tubing to the pressure sensor and blew down the tube (provided some pressure)....Nothing happened....I then checked all of my connections and swapped the LM358 OP-Amp for another one....just in case and nothing happened. I then removed all of the connections and rebuilt the entire circuit and reconnected it to the arduino and repeated the test and nothing happened. At this point I was beginning to think the sensor was faulty....I'll be honest - I then gave up and moved on to other things. 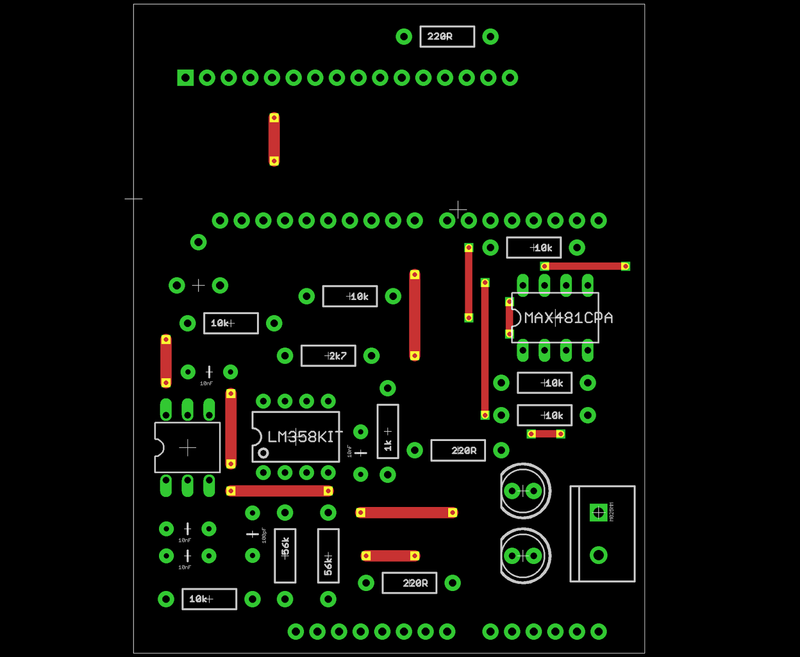 Update - as this post appears to be so popular I designed a breakout board - check it out!! If people are interested I am selling these breakout boards for £10.00 which is roughly $12.93 - Contact me if you are interested! That is very interesting and helpful. Thank you very much for sharing this kind effort.